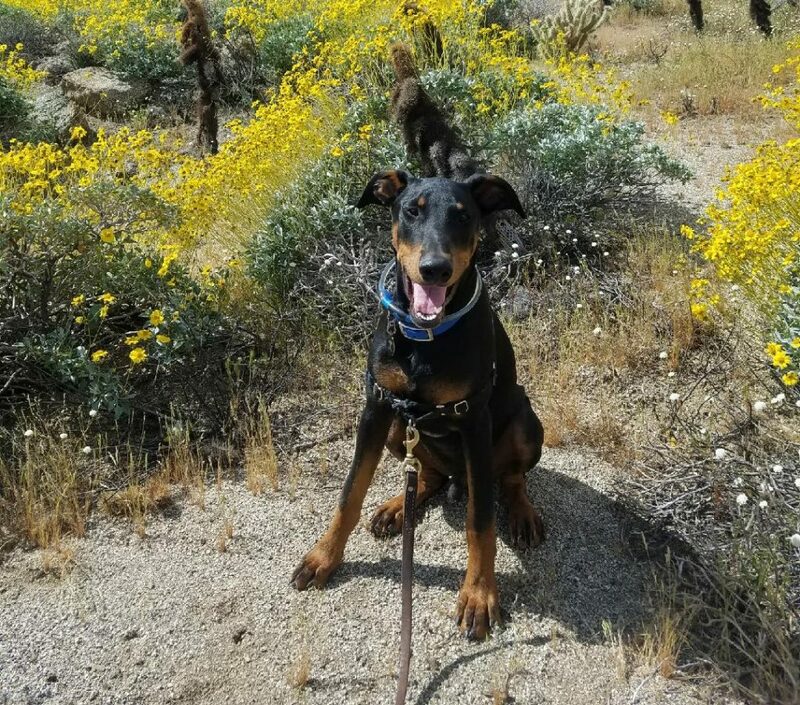 Los Angeles, CA – Yesterday, defendant Eljin Jermaul Holt (DOB: 08/30/1991) appeared at a preliminary hearing setting at Clara Shortridge Foltz Criminal Justice Center (Court Case #BA458129) for inflicting abuse on Indie, an approximately 4-month-old Doberman puppy in his care. A disposition was reached and Holt pleaded no contest to one felony and one misdemeanor count Penal Code 597(b), animal cruelty. The charges are the result of an investigation by Society for the Prevention of Cruelty to Animals Los Angeles (spcaLA). Sentencing is scheduled for March 19, 2018. If until then, Holt obeys all laws and rules of the court; does not own or have access to any animals; completes 48 sessions of animal cruelty prevention counseling OR 24 sessions of animal cruelty prevention counseling and an online animal cruelty education class; and completes sixty (60) days of community labor, he can be sentenced to the misdemeanor and be placed on probation for 3 years. If Holt does not fulfill the terms above, he will be sentenced on the felony count. If sentenced on the felony count, Holt would be obligated to the same conditions above as well as one year of county jail. Holt may not own or have access to any animals for 10 year if sentenced on either the felony or misdemeanor count. In December 2016, spcaLA Humane Officers responded to an animal cruelty tip on the 5700 block of W. Centinela Ave in Los Angeles, CA. The apartment building’s surveillance camera footage showed Holt dragging Indie on concrete using a leash, causing Indie to bleed from his nails. Indie was seized for his protection and is in the care of spcaLA. spcaLA is the only private animal welfare organization in Los Angeles that is also Law Enforcement. spcaLA Humane Officers hold the same powers of Peace Officers in the state of California when investigating animal cruelty. Established in 1877, spcaLA is a non-profit agency that relies on donations for its programs and services, including animal cruelty investigations. To donate, please click here or call 323-730-5300 x233.